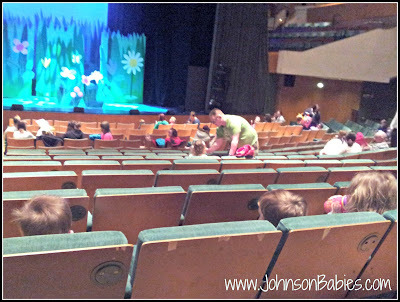 We were fortunate enough to win a ticket to see Ben & Holly's Little Kingdom Live through a competition on This is Life. My parent's were disappointed- they had really wanted to take the boys as they know how much they love the television programme. It was another where I was brave enough to take sole charge of the three children. Fortunately the team at St David's Hall were more than helpful in helping us park the double buggy and showing us to the lift rather than getting everyone up the stairs, and letting Mr J help me get everyone to their seats. A little disappointingly, but it worked well for us, we had seven seats- a family hadn't made it, it was great it gave the children choose the seat that gave them the best view. I just wish Mr J could've stayed! Ben & Holly Live is the first performance I've seen with the little people where masks play an integral part of the performance. Making characters instantly recognisable and ensuring the visual recognition in a large space worked really well. 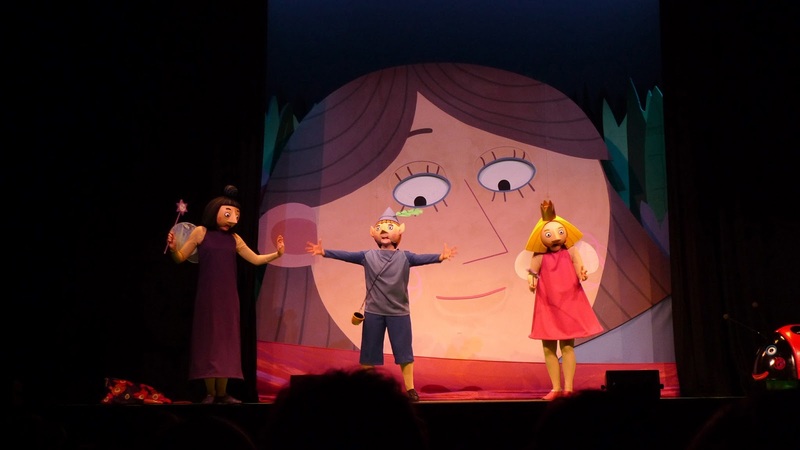 The performance takes the extracts from many of the episodes you're probably familiar with, if you have Ben & Holly fans at home. I have to admit, Ben & Holly is one of my favourites. Episodes are longer than the bite size Peppa Pig, so mummy can usually get a little more done when it's on, alternatively sitting down to watch it with the little people means long time cuddles rather than 'ants in the pants' in the case of shorter programmes and adverts. We really enjoyed the performance. The 'magic' of Lucy becoming little. The travelling to the Little Kingdom with puppetry. It drew the children in. The children weren't as hypnotised as they have been with other performances. Although I think this is mostly due to their familiarity with the characters. 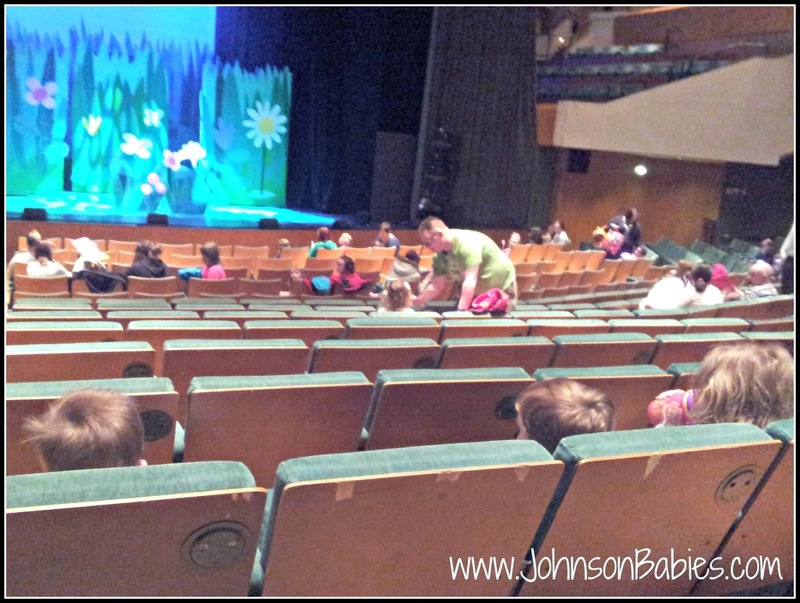 There was an interval, which to be honest I'm not sure was necessary- it meant I had to keep the children entertained and seated. And my only other bug bear was the merchandise and its cost. Not probably an issue with one child- given the amount in the theatre it definitely wasn't. With three children it was a no-go. I would have loved to have seen merchandise which we can make use of outside of the theatre- books, dvds, etc rather than "light swirlers" which I can guarantee my children would have broken by the time we reach home. This is a great introduction to the theatre. Offering young children the opportunity to experience the theatre with characters they are familiar with is a fantastic approach. The performance itself is well thought through, offering storylines and characters children know, and using theatre and its techniques to offer so much more than a television screen. My children loved it. Squeaks raved about it to everyone. And that's enough! 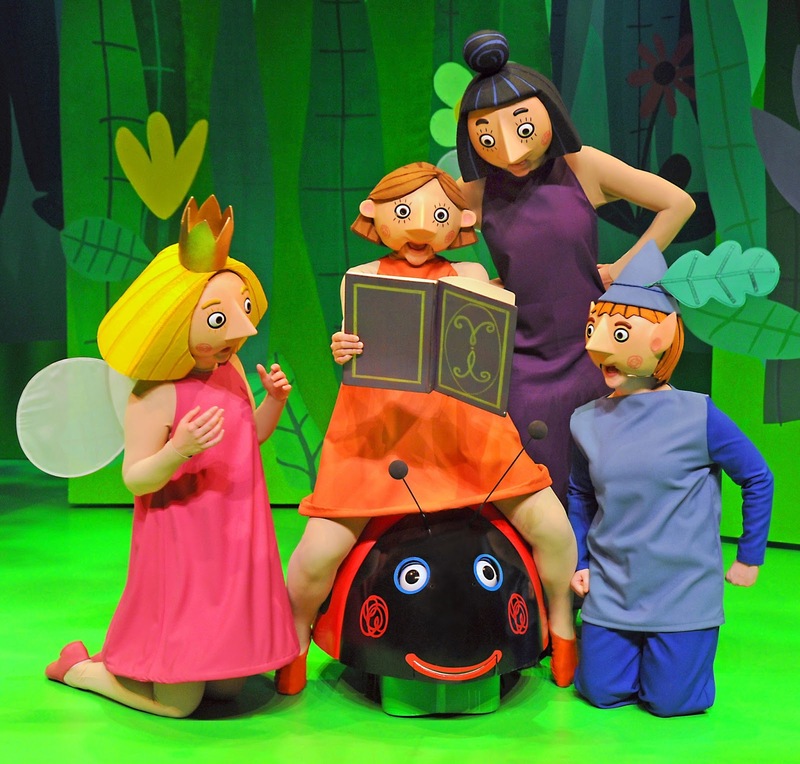 Ben & Holly's Little Kingdom is touring the UK, and is back in Wales next month!